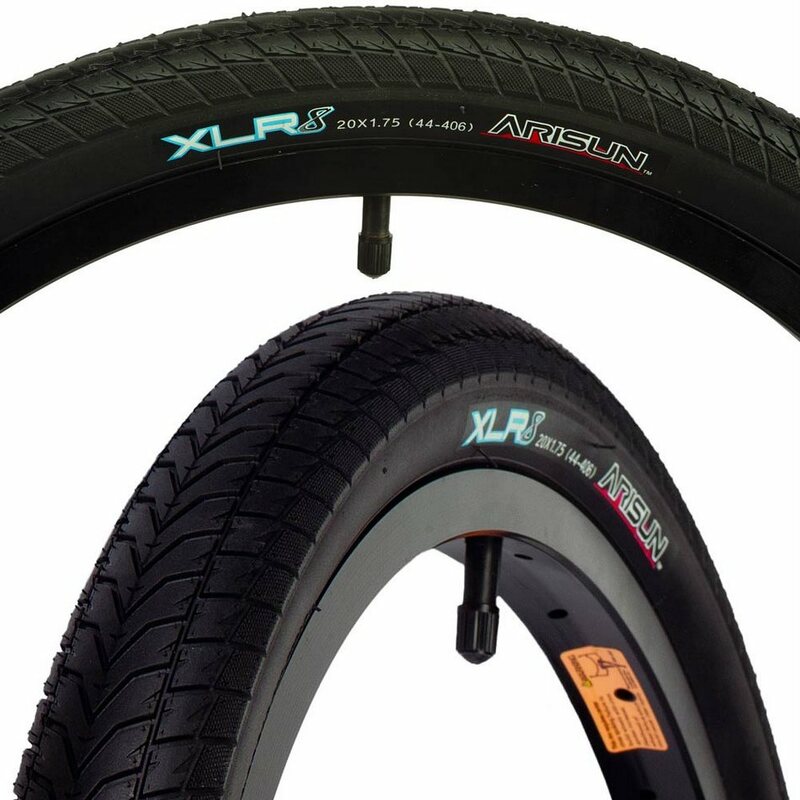 The Arisun XLR8 tire was designed in the USA to meet racers' needs on modern hard packed BMX tracks. It features a lightweight casing with stiff sidewalls for better power transfer and to resist buckling in the turns. The low profile "V" tread pattern is smooth in the center for less rolling resistance and micro knurled side lugs help at higher lean angles.